For many centuries Jewish prayer was so dominated by its male creators and male readers that the Jewish woman’s role in prayer seems to have been all but obliterated. Yet Jewish women have always prayed and, before prayer became standardized into a formal liturgy, Israelite women offered up spontaneous petitions and hymns to God as freely as did men. While they may not have been able to help constitute a minyan, and while many did not know Hebrew or Aramaic, women produced and used material for prayer at home. The Yiddish tkhines had its origin in a form of supplicatory prayer in the Talmud, whose original intent was to allow for individual private devotion during the standard prayer service. 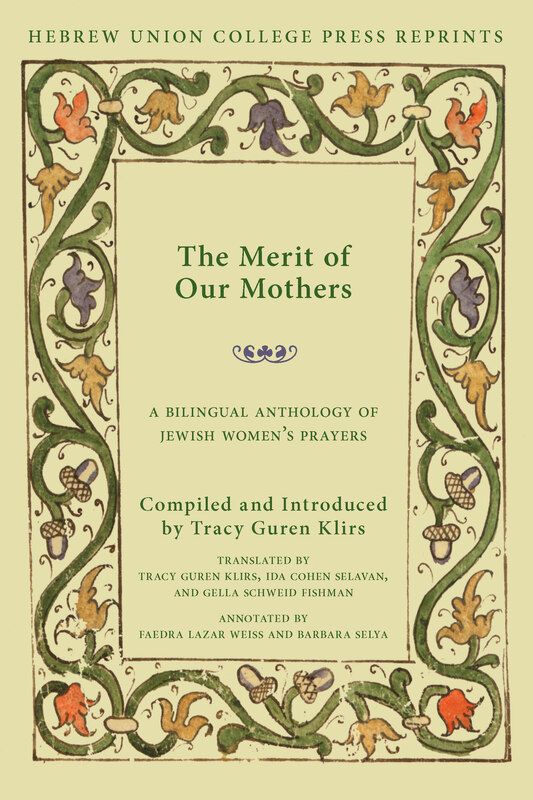 The private Yiddish prayers and devotions for Jewish women continued to use this term. They emerged in the world of premodern Ashkenazic Jewry and represent one of the richest and least-known forms of Jewish religious literature. Because modern sensibility seemed to reject them, and because Yiddish was quickly forgotten by second and third generation Jews in the West, they have been sadly neglected. Although a few have been individually translated into English, this is the first bilingual anthology ever to appear. The prayers in this volume are characterized by a highly personal and intimate style and mark occasions in the religious calendar, such as the Tkhine for the Blessing of the New Moon, as well as occasions in the life of a woman, such as the Tkhine for a Mother who Leads Her Child to Kheyder for the First Time. The tkhines are of great appeal and value to those who wish to hear the voices of Jewish women in history, study Yiddish literature and culture, or create new expressions of spirituality.